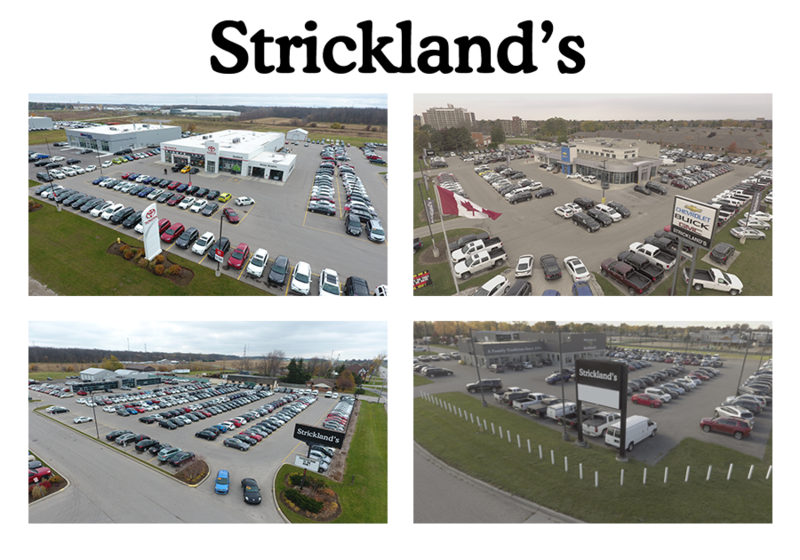 Strickland's is a family owned and operated business; serving Southern Ontario for over 30 years. We began modestly and have grown into a fully functioning superstore! With approximately 1000 new and used vehicles and financing specialists dealing in prime and subprime lending; Strickland's truly is a one stop shop. We now have 5 dealerships catering to every area of today's market, centrally located in Ontario. We provide you with an enjoyable, stable and rewarding working environment. We pride ourselves on providing internal career advancement. Drug Plan, Life, Short/Long Term Disability, Out of Province/Country, and Pension!